Anyhow, the first project was for a charity gig to visit the elderly care home somewhere in Jakarta (I cannot remember exactly where the place is, but it’s definitely not a familiar area for me). The group wanted to celebrate Christmas and some of the elderly’s December birthdays. So I made a simple chocolate and vanilla cupcakes (with special request to hold the sugar! Obviously we do not want anything happens to any diabetic sufferers.) with whipped chocolate ganache and vanilla frosting respectively. The leftover cupcakes were happily eaten and brought home by friends. The next project required a little bit more creativity on the packaging side. 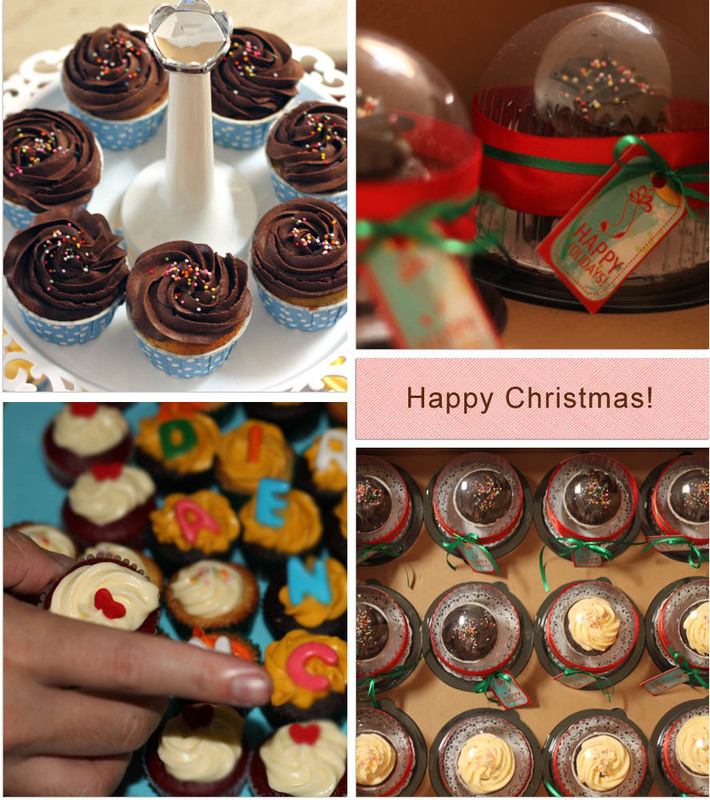 The request was to provide a dozen prettily packaged party favours with Christmas tag on each. Choosing Christmas coloured ribbons and a Christmas tag designed by none other than Jason Tan (Thanks, Tason!) for the packaging, I whipped my specialty of Chocolate Cupcakes. Nothing too fancy but I hope it brought joy to end a year! So that’s my eventful week to near Christmas to close the year. Ready for a new year ahead!